A day trip in the countryside with a private driver with a small van (7seater) for eight hours. 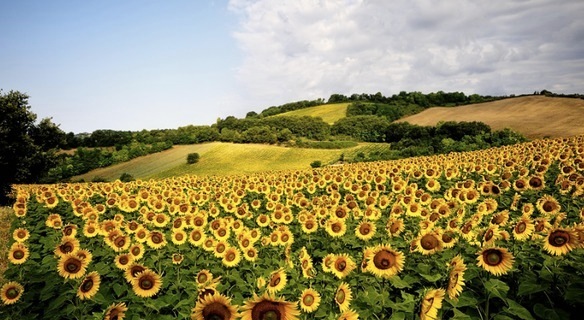 An unguided day trip to the countryside visiting some medieval villages and a wine and food experience for lunch at a family run winery or a lovely local trattoria. Leave the planning and the itinerary to us and sit back and enjoy. You may wish to add a wine tasting to the itinerary also (additional cost per person). 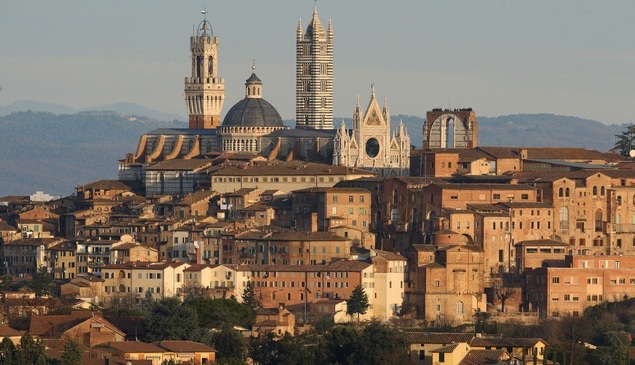 Visit the beautiful town of Siena and a stroll through the medieval hamlet of San Gimignano. 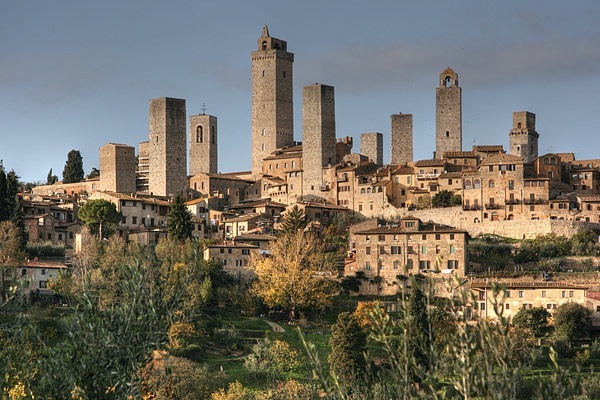 Visit magical Volterra and San Gimignano. The driver will pick you up from your accommodation at 9am if the tour is our standard daytrip of eight hours. 495€ for a party of maximum 7 people for 8 hours. This cost covers the private driver and private car / van. Lunch is an additional cost and paid on site. If a wine tasting is included in the day itinerary the cost is extra (additional cost of 6€-15€ per person, paid on site). The cost for the driver & car is for pick up from Florence city centre. If your accommodation is outside of the city in the countryside, there may be an additional cost. The drivers with whom we collaborate are not guides. They are very experienced, knowledgeable and personable however, they are not licenced guides of Siena, San Gimignano, Lucca or Volterra and so if you include these towns in the day’s itinerary there won’t be a guided tour included. It is free time for your party to visit the town at your leisure. We can organise one of the licenced guides on our team for a guided tour in the places listed above if you are interested. The cost is the same as in Florence.